Mallory Lombard and Drew Driscoll grew up next door to each other in a small cottage town of Port Carling, north of Toronto. Despite their differences—Mallory is a homebody, Drew an independent journalist addicted to travel—they’ve been best friends forever. Best friends, and only friends, until one snowbound weekend on a ski trip in the Rockies when unexpected sparks fly and they end up in bed together. Later, they both agree it was a mistake to risk their friendship by becoming lovers. 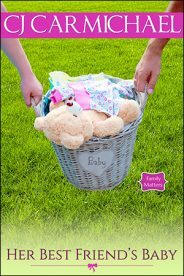 Easy enough to say, but Mallory has never cared for any man more than Drew—and two months later she discovers she’s pregnant with his child. Keeping the baby is a given—but what will Drew say? She’s about to tell him the news when his mother unexpectedly dies. Drew changes his plans and travels back to Port Carling. Before long he is completely overwhelmed. Funeral arrangements, a house to sell—and who will run the family newspaper now that his mother is gone? Then he finds out about the baby. Perhaps the universe is telling him it’s time to settle down. But is he ready? This book was originally published in 2000 by Harlequin Enterprises. 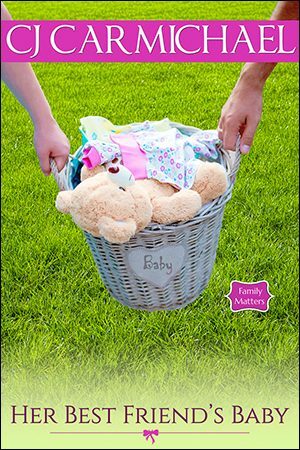 This new edition has been packaged with a beautiful, fresh new cover and is book two of "Family Matters" - a series which highlights several of my reader's favorite stories about women, children and the men who love them. "I want to talk about us, Mal," Drew said. "About getting married." Mallory smoothed down a flannel receiving blanket. It was so soft and comforting. She wanted to wrap it around herself and block out this conversation. But they'd been hiding from the truth for too long now. "How can we talk about getting married, when we can't even look each other in the eye anymore?" He glanced away, proving her point. See? She wanted to say. But she didn't. It hurt too much. How had it happened? They'd been best friends for so many years. She didn't regret that they'd had a child--how could she be sorry she had Angel? If only she hadn't complicated matters by falling in love with him. "You're right," Drew said. "Things have been different between us. But we can get married and work out our problems." "Why are you arguing for something you obviously don't want?" Not since Angel was born had he looked at her with the passion he'd once been barely able to contain. Yet, it wasn't just the baby's birth that had cooled his ardor, Mallory knew. She'd made the mistake of crossing the line. She'd gone from friend to lover. And soon she would be the same as all his other lovers. History.